Today is What to Wear with Wednesday and we’re talking all about maxi skirts! 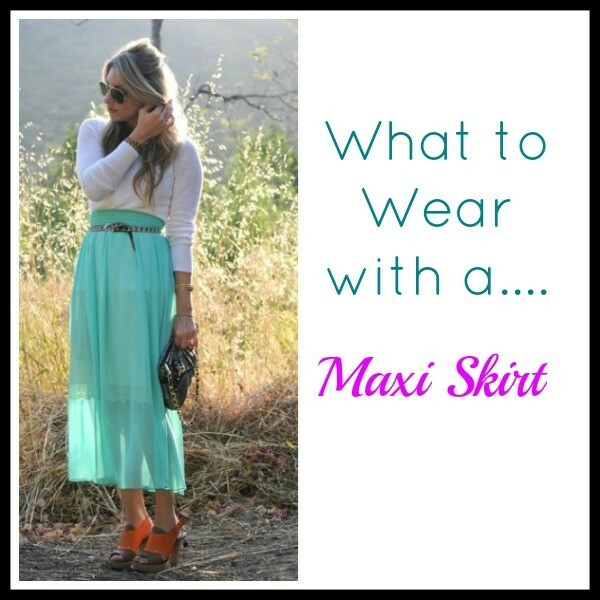 What to wear with a maxi skirt…. A maxi skirt can be a summer staple when it comes to your wardrobe. They are super comfortable, look great on anyone and are perfect for when the temperatures reach that unbearable level. But, you might be wondering what to wear with a maxi skirt. It’s quite simple really. Here are 3 outfit ideas for a maxi skirt. Tuck your shirt in and add a belt to it. 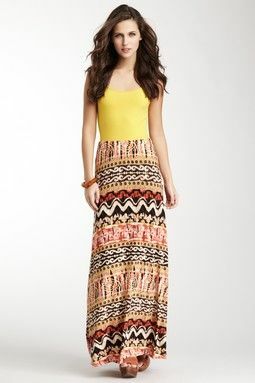 It’s a dressed up look and is perfect for your favorite maxi skirt. 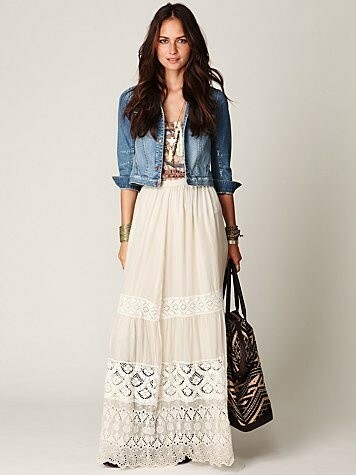 Add a bit of style and dress up that maxi skirt with a cardigan or jacket. Wearing a maxi skirt is as simple as adding a tank. It’s comfortable, looks great and takes minutes to choose what to wear in the mornings. That’s my kind of outfit. Add an accessory or two and you’re good to go.